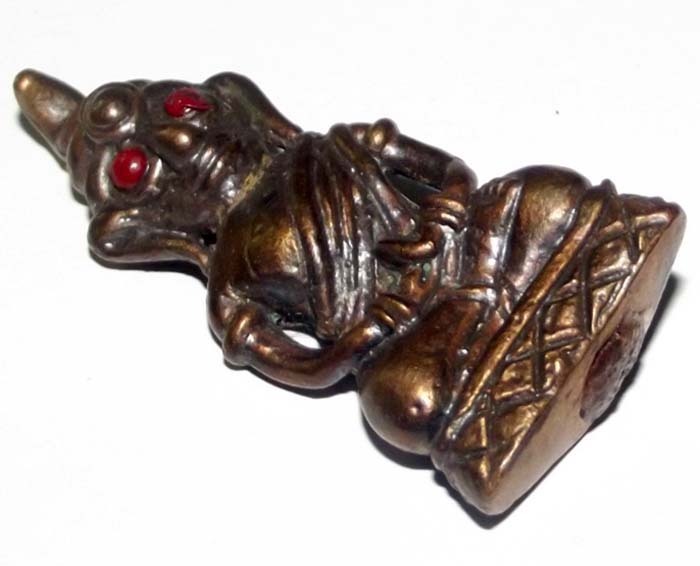 The Pra Ngan maha sanaeh and choke lap amulet for gamblers and flirts is used by those who frequent the places of nocturnal entertainment. 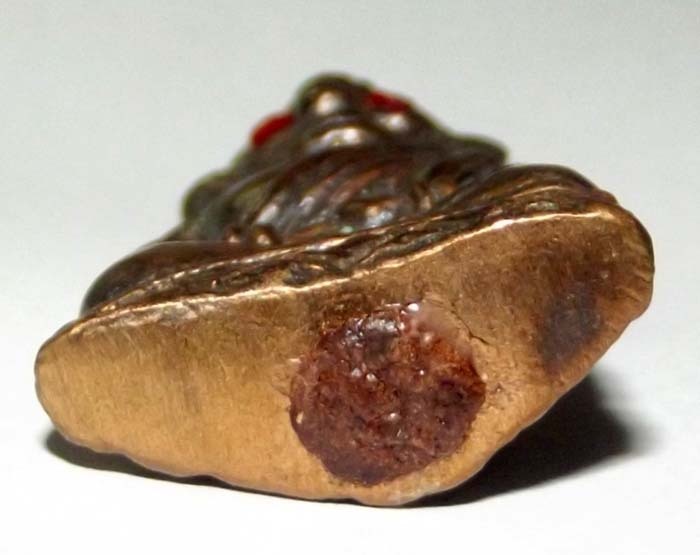 This amulet is made from sacred bronze with prai powder and a takrut filling. 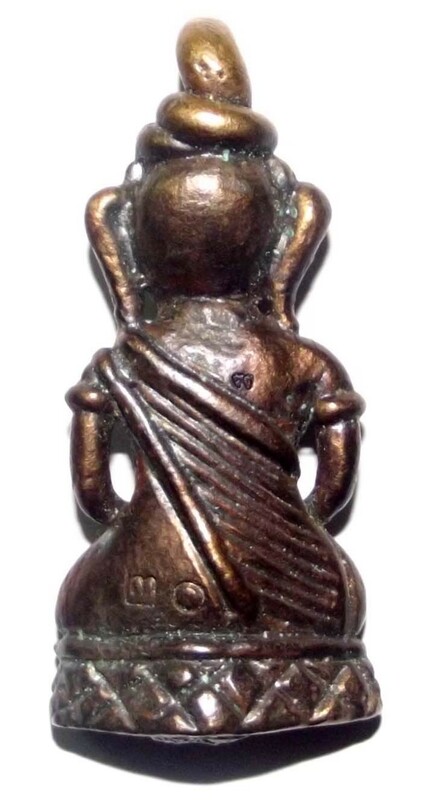 It can be classified as a form of Khmer dark arts maha sanaeh sorcery. 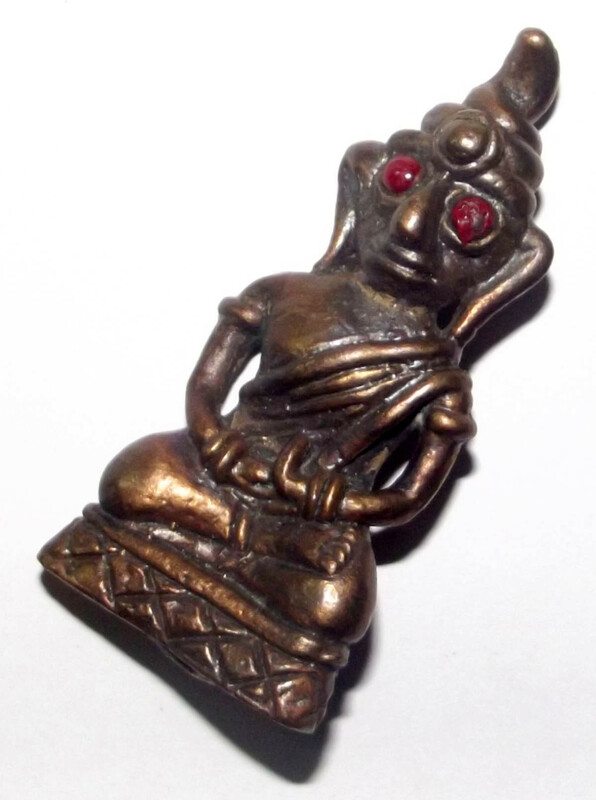 It is made by the famous laymaster, Ajarn Tong Teng, whose magic charms are extremely popular with the ladies of the night in Thailand, as well as with the men who frequent the casinos, gambling dens, and meet with the ladies. It is thus a very powerful necromantic charm. The Pra Ngan needs to be fed with liquor and spicy foods; light a cigarette and place in an ashtray in front of the Ngan. You can take the amulet with you on your nocturnal prowling missions and gambling sessions. Puttang Hai Kon Tang Hlaay Rak Khaapa Jao Mai Roo Waay Tammang Hai Kon Tang Hlaay Rak Khaapa Jao Mai Roo Haay Sangkang Hai Kon Tang Hlaay Rak Khaapa Jao Jon Dtaay Na Ma Pa Ta Putta Sangmi.